Carrot, Onion, Onions, Leek, Tomato and Ginger. Sow in pots under cover in late winter to early spring. Transfer to bigger pots as required. If planting out then do so when soil has warmed and risk of frost has passed. Sometimes require supports if the chillies are large. 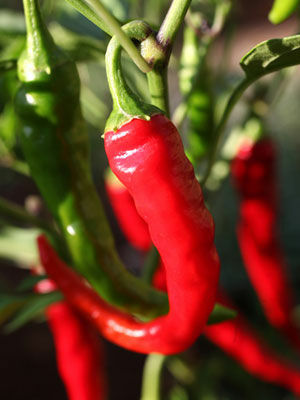 Harvest chillies green when they have grown to a good size or wait for them to ripen to yellow, orange or red if preferred.